Sony Ericsson Xperia X10 Will Be Based on Android 1.6... Why? 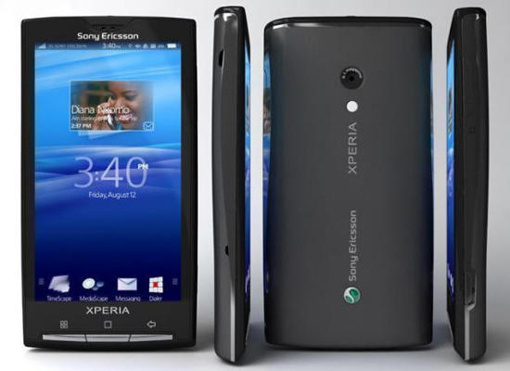 Sony Ericsson Xperia X10 Will Be Based on Android 1.6… Why? Talking directly to the consumers on Sony Ericsson Blog, the company representative said that for now the OS choice for Xperia X10 is Android 1.6 but since this version is what people had experienced in G1 and other initial Android based devices, the release of X10 may be upgraded to Android 2.1. He further talks about the features and benefits of the phone he mentioned that it is “sleek and outstanding” and further went on saying that the device is “beautiful to hold in the hand”. I know a company representative will talk positive about the handset but we would have see when the actual unit is shipped out for pre-release demo. There are two Sony Ericsson signature features being introduced in X10, TimeScape and MediaScape. By just hearing those words, it seems like it would be something to do with organizer and music / video library features. After reading the whole blog, I must say that now I am intrigued about what Sony Ericsson has in store for us. We already know and have seen the rise and fall of X1 and X2 but X10 is the device which has had the industry and consumer talking alike. 2010 sure is the year of innovation and surprises and if Sony Ericsson is able to take full advantage of Android OS then it would be a battle already won.